At an undisclosed lockup, Parasmal Lodha — known for his fetish for limousines, priceless watches, Cognac and mahogany beds — sleeps on the floor covered with prickly blankets, his meals comprise flatbread and lentils. Officials of the Enforcement Directorate, who arrested Lodha on charges of illegally re-routing cash to make it look legal (read hawala), showed no mercy to the 60 year-old influencer, rejecting all pleas for special treatment, including home-cooked food. Lodha, claimed sources within the probe agency, did not like being treated as a commoner. To the wealthy across India, he was — over two decades — known as the three-word man: "Get it Done". But now, Lodha had no choice. "It's interesting to see him in such a condition. In 40 years, life has turned full circle for Lodha and his crimes,” quipped an ED official, in an apparent hint about Lodha’s initial years when he had arrived in Kolkata in 1977 as a carpetbagger and sold stuffed betel leaves and flavoured paan masala in front of Poddar Court, an imposing building close to Lalbazar police headquarters. Old-timers in Kolkata recall how Lodha and Nandu Pasari, a dealer of Raymond suitings, grew in stature and, of the two, Lodha started doing small-time brokering on behalf of Arun Poddar, owner of Poddar Court. Lodha, thanks to Poddar, increased his network among Kolkata’s Marwari community, and using their financial prowess, wanted to take over the Peerless Group, then India’s largest residuary non-banking company, in 1987 by acquiring 50 percent of its shares and a seat on its board. Chairman of Peerless PC Sen had complained to the Kolkata Police that Lodha had offered his staff loads of cash but when refused, Lodha even threatened to kill him using his contact with Dawood Ibrahim. Lodha was questioned by the cops but eventually let off. However, his attempt failed as the Left Front and Congress jointly staved off his bid — CPM leader Somnath Chatterjee and Congress leader Priya Ranjan Das Munshi joined hands — and Lodha’s stake was down to 30 percent. However, the Peerless misadventure proved to be the biggest springboard for Lodha, who was now seen as the best face for “deals and negotiations” in Kolkata, some in Delhi and Mumbai were also calling him for consultations. But then came the second jolt when 43 people were charred to death in a deadly inferno that swept through the multi-storeyed Stephen Court in the heart of Kolkata in March, 2010. Lodha was rumoured to be the actual owner of the building, where he had flouted several rules and even built two extra floors bribing his way through. 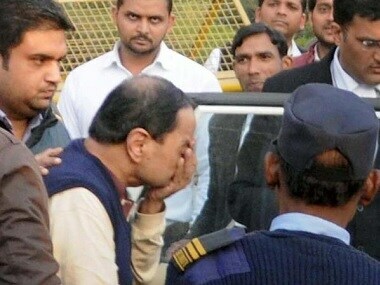 A team of the Kolkata Police had also arrested Sanjay Bagaria, the son-in-law of industrialist GP Goenka — a friend of Lodha's — from a guest house of a paper mill in Saharanpur, in August 2010. Bagaria was one of the directors of Stephen Court Limited — the century-old architectural heritage building on the upmarket Park Street in Kolkata — and had gone missing after the inferno swept through the building. Interestingly, Lodha managed to extricate himself from the incident. "Lodha had — by the mid-1090s — moved from Kolkata to Delhi and acquired expensive properties, including a huge farmhouse where he entertained guests,” said ED sources. 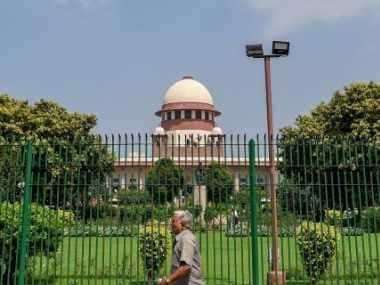 Among his friends were a host of retired judges with considerable influence on the judiciary, many cabinet ministers, corporate captains, and sons of the then prime minister PV Narasimha Rao. Lodha was a regular at the PMO in South Block. Lodha expanded his wings even abroad. The ED is looking into his proximity with some influential Indian families in London and Kenya, even in Australia and whether those families benefitted from Lodha’s largesse. Having helped a top Indian conglomerate when his business deals in Australia went sour, Lodha was also seen in the forefront of a group helping a London-based family solve teething problems in its automobile business. “He was seen as the ultimate saviour who knew the routes to instant cash. He wanted to try his hand into everything, including films,” claimed ED officials. It is reliably learnt that it was Lodha who helped the influential Renu Roy garner cash to finance Rituparna Ghosh’s award winning film, Unishey April, in 1994. He even lobbied for Roy to become the first woman president of Kolkata’s prestigious Saturday Club in 2007-2008, raising many eyebrows in the city. ED officials claim Lodha had been under the scanner for almost a decade but “serious tracking” by the agencies started when it was claimed that he was the front to re-route financial packages offered by the Indian government to ailing jute mills in Bengal. Many jute mill owners were accused of diverting Central funds without refurbishing the jute mills. Some were also slicing off portions of jute mills into real estate zones. “Lodha was thick in it,” claimed ED officials. Lodha also worked with influential Marwari tycoons in Kolkata who wanted to acquire heritage buildings close to the Ganges. He had an uncanny ability to get sanctions for extra floors and eventually legalise them by paying hefty bribes to the cops, state government officials and civic authorities. He was then jokingly called "Extra Floor Lodha". But his interests in real estate dimmed in late 1990s amd he shifted to cash re-routing, lobbying with the judiciary and started negotiating with many across India. Instead of shuttling regularly between Delhi and Kolkata, his new destinations now were Mumbai, Chennai, Hyderabad and Ahmedabad. Bollywood interested him immensely, Lodha often used small-time Bollywood actresses and models to impress his clients. Barely 10 days before his arrest, Lodha was in touch with a Bollywood starlet whose services he wanted for two of his clients. It wasn't just cinema and actors, however, as Lodha showed an interest in owning news channels. Always ready to strike a deal and completing it successfully, he was then known as "Deal Done Lodha". He was always interested in the end result, often telling his conduits in simple words: "Kaam Hona Chahiye" which translates to "The work must happen". 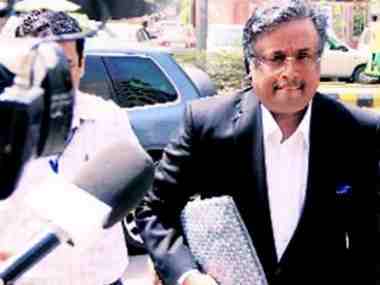 His name cropped up when many in Kolkata were being interrogated by the CBI in the Sharada scam. Lodha — or so claimed those who were interrogated — had urged them to sell licences to run news channels to Sudipta Sen of Sharada, promising them “high value deals” because of his clout with Sudipta. Arrested last Thursday from the Mumbai Airport while trying to flee to Malaysia, allegedly for illegally converting demonetised notes worth Rs 25 crore into new currency for Chennai sand baron J Sekhar Reddy and lawyer Rohit Tandon, Lodha started showing his clout at the airport, virtually naming the entire UPA-I and UPA-II Cabinets and some ministers of the ruling NDA-led government as his friends. “His handset and messages folder looked like an encyclopaedia,” said a top source. ED officials were tracking Lodha after New Delhi’s demonetisation moves, and eventually a dossier was prepared on the hawala trader and influencer, and clearances were sought from the Ministry of Home Affairs. “His huge influence was indeed a cause of worry for us,” claimed the ED officials. 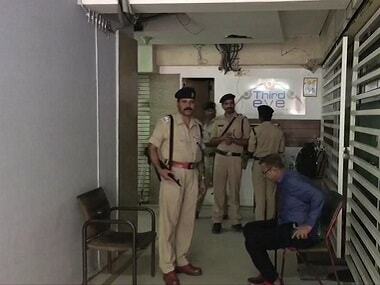 Inside the ED lockup, Lodha is unable to crack a deal and nothing is happening to his satisfaction. He does not even have his expensive watch to see if time is on his side.